Peta Serras website was designed by Perth web design company, Lethal Graphics! Contact us today to discuss your individual requirements Get a quote today. Peta Serras is a qualified Pilates Instructor, Health Coach and Writer with many passions in life. 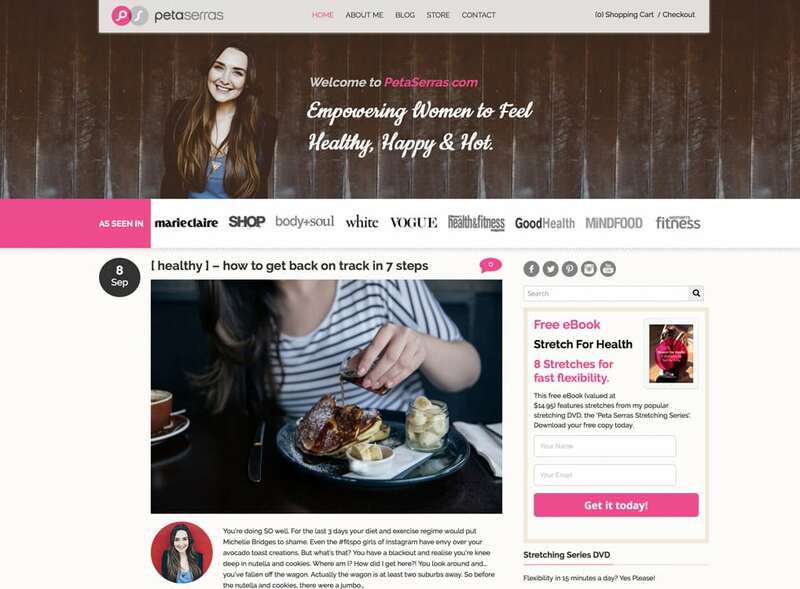 Peta Serras has made her name known in the Pilates and health community by being a regular health contributor for many top Health magazines including Australian Marie Claire. She’s produced a best selling Pilates Stretching DVD that is sold internationally. 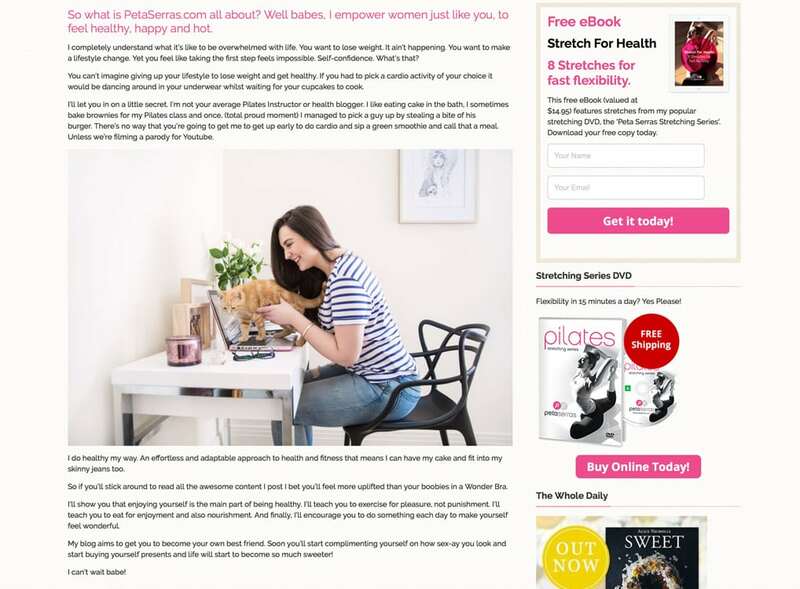 Peta is passionate about everyone being able to experience Pilates for themselves and blogs regularly on PetaSerras.com about all things Pilates, health and happiness. The motto at PetaSerras.com all about being healthy, happy and hot! So when designing the overall layout, we wanted Peta to be the face of her brand (kind of makes sense) and to be quite prominent across the website. Women of all ages identify with Petas passion and enthusiasm towards life, so it was essential that we translated Petas personality throughout her website. The new blog website for PetaSerras.com was built in WordPress and completely responsive to fit onto any size computer screen, tablet or mobile device. We created on online shopping cart system so customers can purchase the Peta Serras Stretching DVD using a hassle free checkout system.